Web racing is another form of exercise that will leave your customers at your fitness facility excited to come back. This piece of exercise equipment will help to motivate your customers while also helping to retain them. The Experience Peloton Multi-Ride™ – an engaging virtual biking community experience will keep your customers excited to exercise. Peloton recreates you, the instructor, and your classmates as avatars on a multitude of riding courses where Effort = Action, Fun, and Excitement. We like to think this is the ultimate method for exercising since you’ll end up doing something much more frequently if you enjoy it. If you’d like to learn more about how to engage, motivate, and retain customers, we suggest that you contact us. 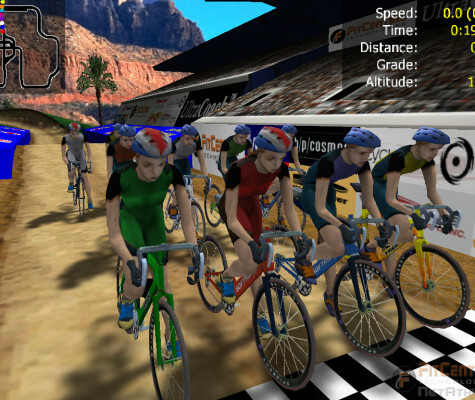 WebRacing Exergame is adaptive to a variety of group training styles and approaches. It perfectly complements personal instruction where the instructor decides how to interweave warm up sessions and sprint sessions. 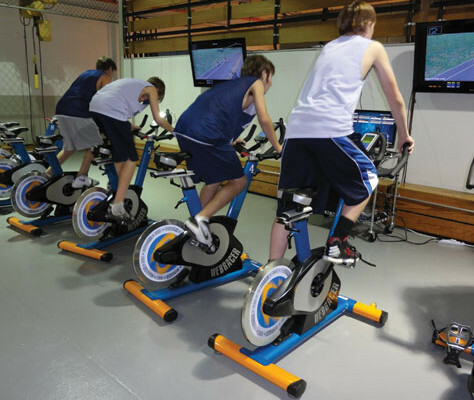 The instructor can either ride with the class – or let the Peloton program run fully automated and walk around the classroom to interact with individual members, one on one. Whatever you decided to do for your fitness facility, your customers will love since this piece of exercise equipment is such a treat to use. WebRacing Exergame inspires and motivates its users to work harder and get more out their workout in a fun, social environment. 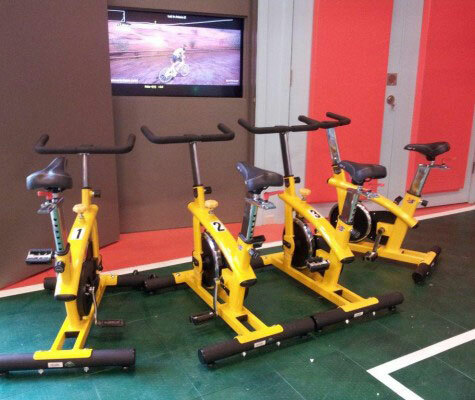 Peloton’s instantaneous virtual reality interactively intensifies the camaraderie and competition in each class which leaves your members delighted with their overall experience, more satisfied with their efforts and looking forward to their next class. Any video Display(s)/ video Projector should have HDMI input. If multiple Displays are to be used we need to include a HDMI splitter box. The X Series Indoor Cycling Bike features a 44-pound flywheel with a quiet, low-maintenance belt drive. The seat is anatomically designed with a mid-section cut-away. Indoor-style pedals are dual sided speed pedals. Handle bar and seat can be adjusted both horizontally and vertically. A Junior Size indoor Cycle (Spinner) made to commercial specifications with high quality materials for smoothness and long life. Perfect for sizes of 40″ to 63″. The X5 was designed for children, pre-teens, and shorter frames. Perfect for family fitness and weight management applications. The most realistic road-bike feel, requiring full body movements and balance in order to ride. Offer your members a fun, exhilarating cardio and core training workout in one sleek, stylish product with the unique RAMP™ frame that sways with body movement. Let them measure their results with the EVO computer that comes standard with each bike. And, guarantee that they get a safe, comfortable workout each time with the InfiniteFit™ handlebars and hybrid saddle.